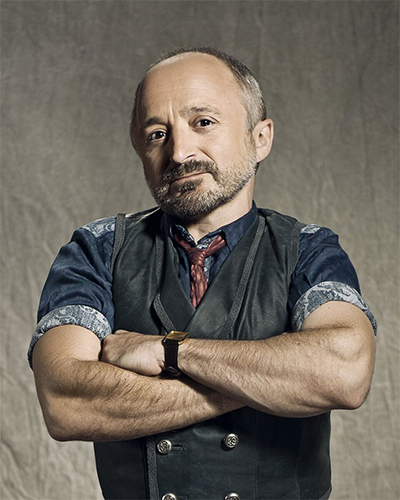 Rick Howland played the role of Trick in Lost Girl. As a recording artist he has had his song "She's a Goddess" placed in episode 402. Howland co-wrote and directed the short film, Underwritten, for the 48 hour film festival that can be seen on Vimeo.com. He also wrote his own stand-up routine for Club Land directed by Saul Rubinek, screenplay by Steven Webber. Other notable performances include guest starring on the series' Sanctuary, Billable Hours, Murdoch Mysteries, and Sue Thomas F.B.Eye. He played Hockey League Commissioner, Harry Buttman in Canada’s top grossing feature film Bon Cop Bad Cop and starred opposite rock legend Meatloaf in the feature film To Catch A Yeti. Howland can also be seen in the award-winning Santa Baby, Short Tongue Freddy, and Tin Man. Selected theatre credits include: Veriété (Volcano), Shooting Penguins (Factory), A Short History of Night (Factory), and Lion the Witch and the Wardrobe (YPT). He was also founder, writer, and performer in The Four Strombones comedy troupe.